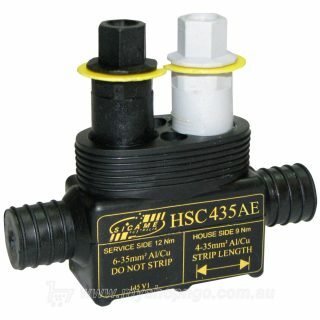 Sicame HSC435/1O House Service Connector with copper earth tail. 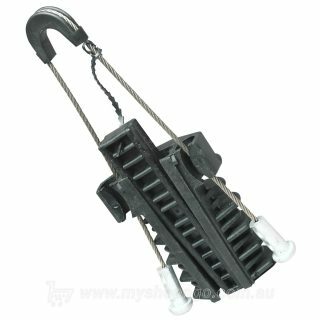 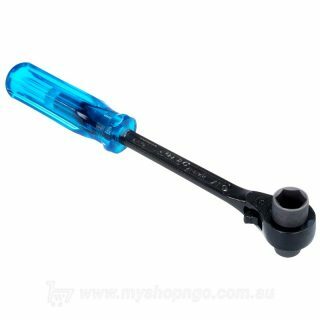 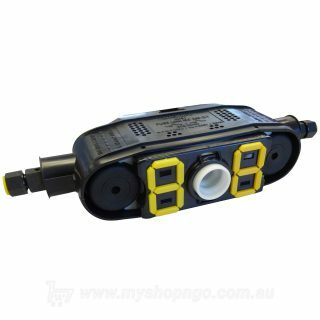 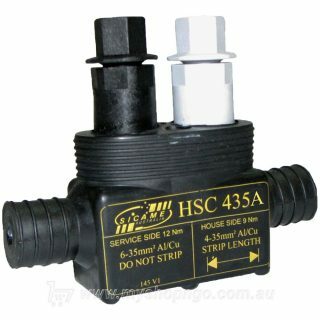 The House Service Connector (HSC Series) have been specially design for use by electrical utilities throughout Australia. 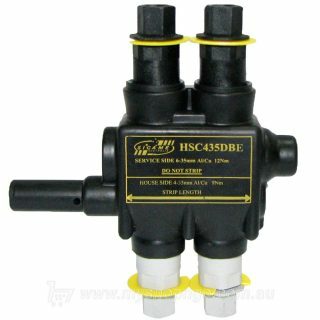 House Service Connectors specifically connect consumer mains (house side) to insulated overhead service mains (service side). The HSC435/1O is safe and easily installed by electrical contractors or Accredited Service Providers (ASP’s) as they are fully installed and have torque control shear-head bolts. 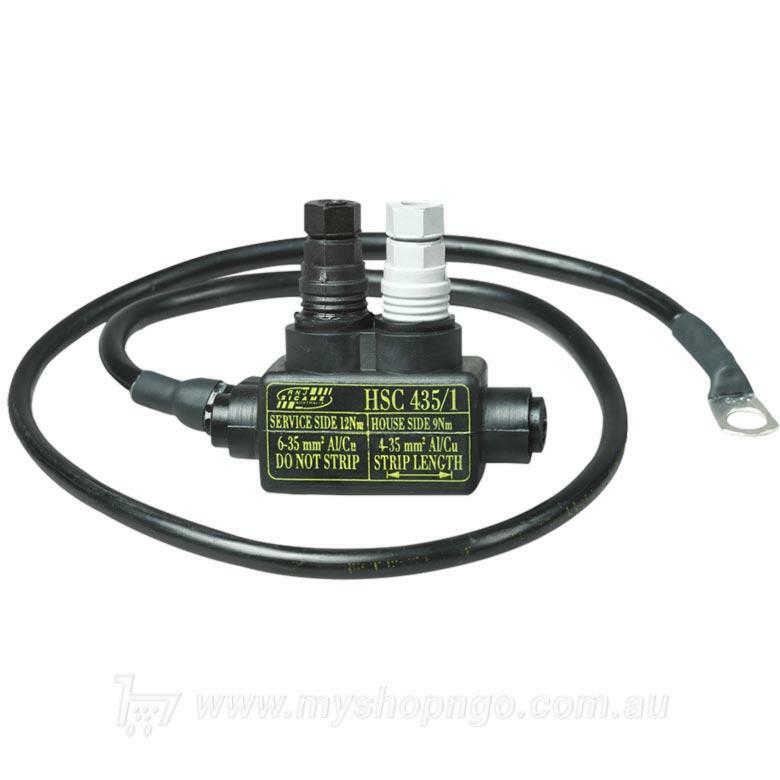 The HSC435/1O is to used for Consumer Mains Cable (house side) 4 to 35mm2, to insulated Overhead Service Mains (service side tap) 6 to 35mm2 copper or aluminium. 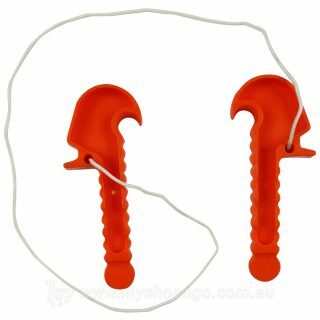 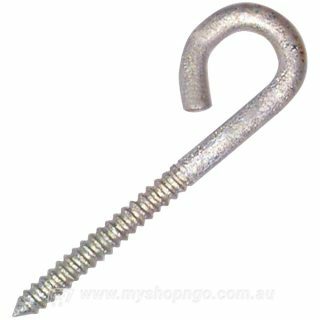 The 16mm2 copper earth tail is 500m long and has single M12 lug hole. 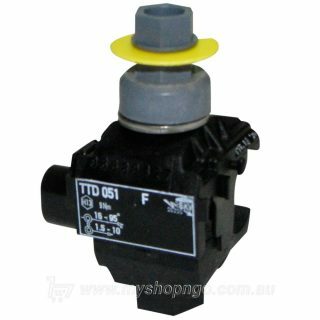 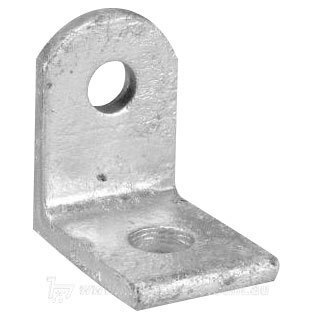 View this product in the manufacturer’s brochure here.